(Tokyo - November 19, 2013) Lexus today unveiled its striking new production-ready RC coupe at the 2013 Tokyo Motor Show, scheduled for launch in 2014. 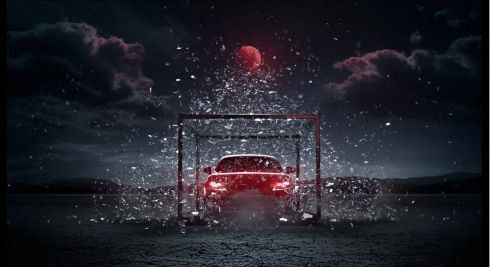 The RC raises Lexus’ profile with a broader audience, injecting emotional appeal into the Lexus DNA which has become well known for build quality, refinement and reliability. RC is part of a ride and handling revolution at Lexus, which started with GS and continued with the new IS. It is a stand-alone model, rather than a two-door derivative of a sedan. Based on the GS platform, the coupe differs in all dimensions from the GS and IS lines. The aggressively styled coupe will be available as a: 3.5L V6 teamed with an eight-speed sequential transmission. Chief engineer Junichi Furuyama, also in charge of the IS line, said RC was intended to engage with owners on an emotional level. The RC has been infused with deeply contoured lines, integrating the widest and lowest application yet of the Lexus spindle grille. It is unique in the Lexus range – 30mm wider, 35mm lower and 70mm shorter in wheelbase than the new IS line, providing a road stance that emphasizes the attraction of a luxury two-door vehicle. 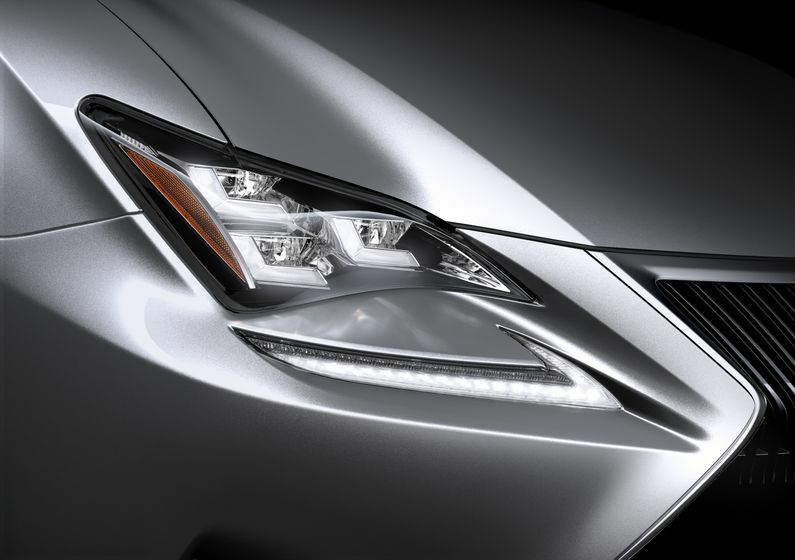 The unique headlamp design adopts the symbolic Lexus L-shaped motif front and rear. There are two choices of aluminum wheels – a deeply sculpted 10-spoke 19-inch and a muscular five-spoke 18-inch. The hero color is red – a brighter, more contrasting shade made possible by a new painting process. Highly acclaimed sports concept vehicles have greatly influenced the RC interior, making maximum use of contrasting colors, materials and lighting. A purpose-built Lexus-first lighting package provides a great sense of occasion, with illumination that reflects upwards, rather than downwards, to envelope the cabin. High contrast interior colors, emphasize design lines and accentuate the elegant cabin. 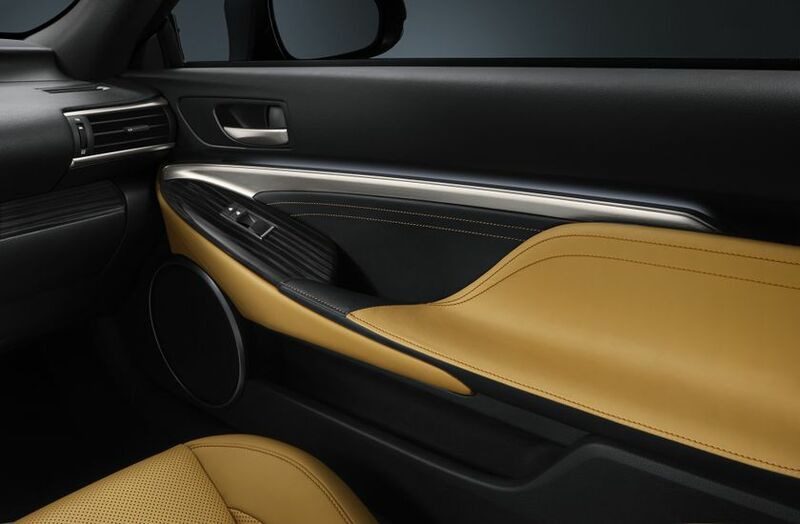 Genuine shimamoku wood highlights – the result of an intense, layered wood production technique refined by Lexus – are used to emphasize the surrounding trim. 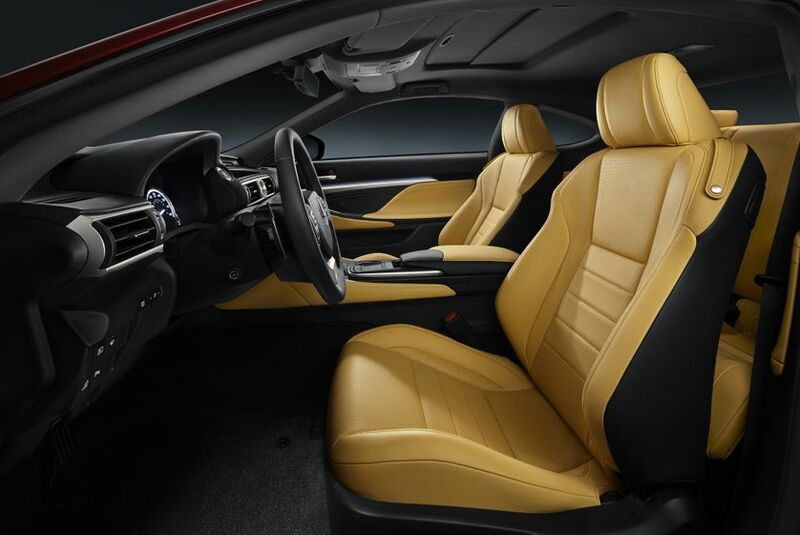 Importantly for a coupe, the seats utilize an integrated foaming construction method, much like the moulding of racing seats, to ensure optimum occupant comfort and support. 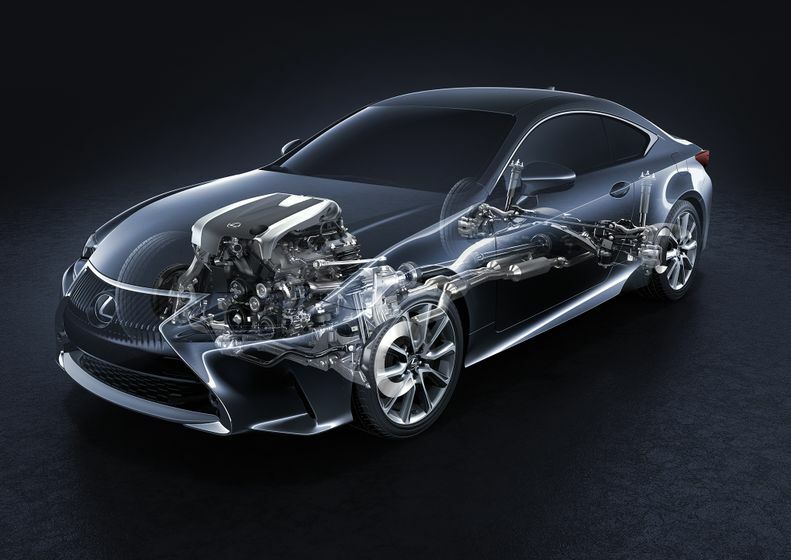 The RC’s strong and purpose-built chassis is the latest evolution of Lexus’ objective to achieve a world class driving experience, epitomized by the improved performance of both the GS and IS lines. 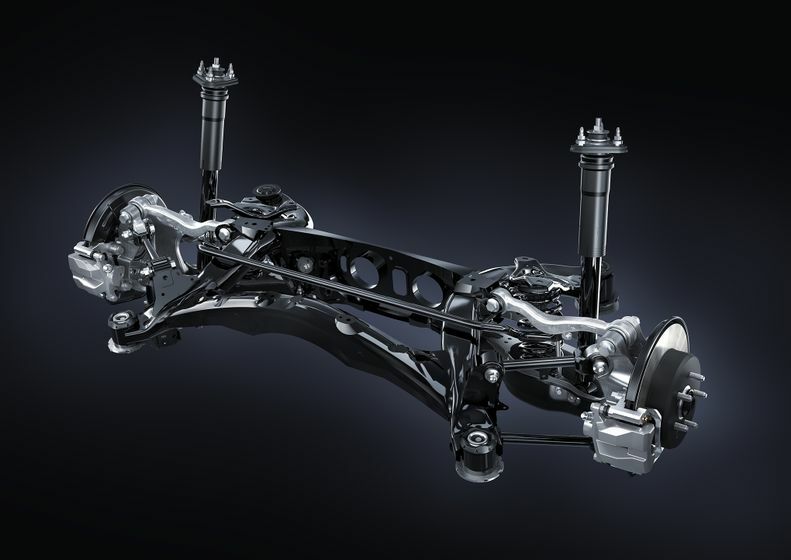 Extra thick underbody rocker panels greatly increase the two-door’s rigidity to support driving performance. 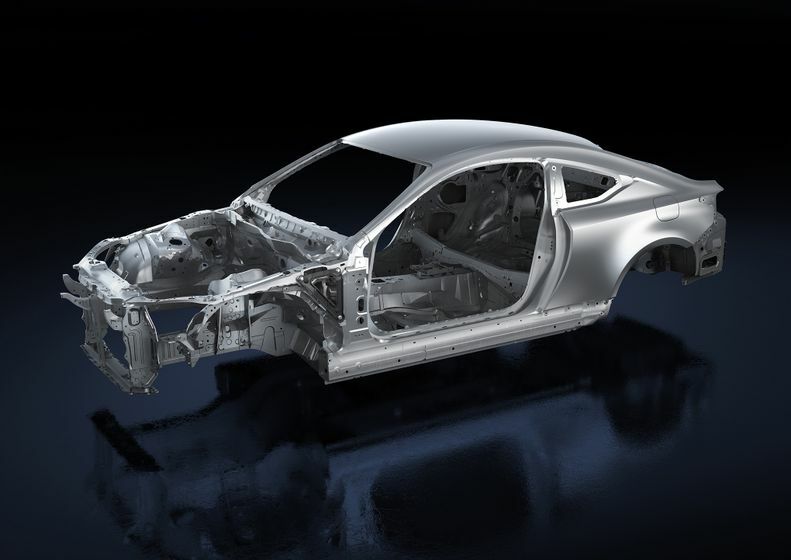 New manufacturing techniques pioneered in the LS and IS models, including the use of body adhesives, have strengthened the chassis. 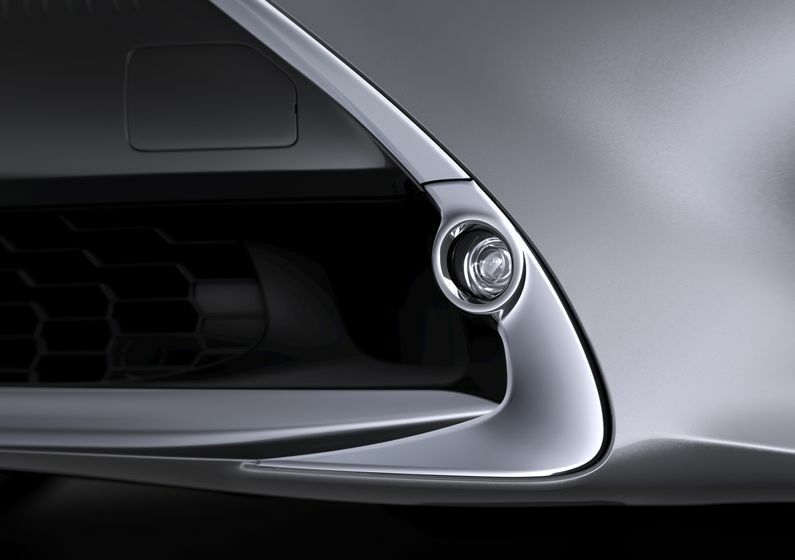 Aerodynamic aids, especially on the underbody, contribute to the handling package. RC uses double wishbone front suspension and multi-link suspension at the rear. 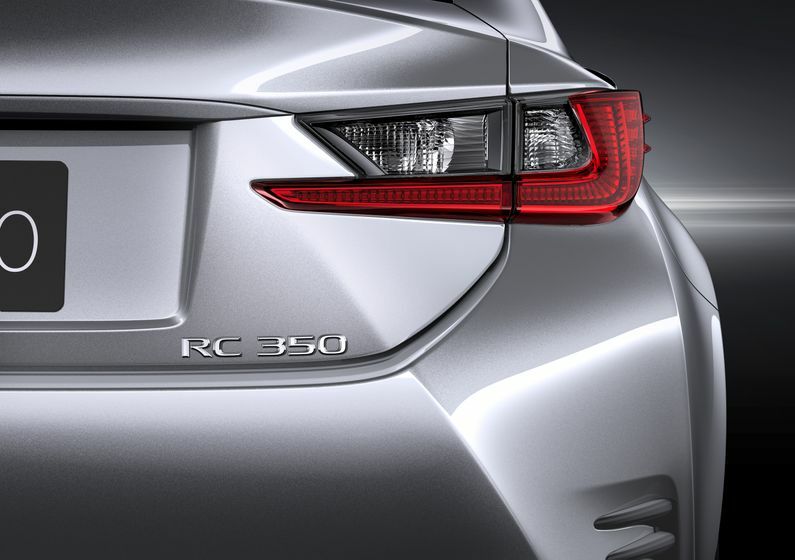 Specific power output per liter of the RC is second only to the super-sports LFA in the Lexus range. The dual injection 3.5-liter V6 gasoline engine produces maximum power of 318hp at 6,400rpm, and peak torque of 280 lb-ft at 4800rpm. An eight-speed Sports Direct Shift with paddle shift transmission adapted from the IS F optimizes power delivery and efficiency. In M (manual) mode full torque converter lock up from second to eighth gears allows for down changes in just 0.2 sec. Depending on market requirement, the RC coupe will drive either through its rear wheels or be available in all weather (AWD) configuration. The sound generated by the engine has been tuned to ensure it delivers a stirring note under spirited driving conditions. Advanced technology includes upgraded Blind Spot Monitor and new Remote Touch Interface (RTI). 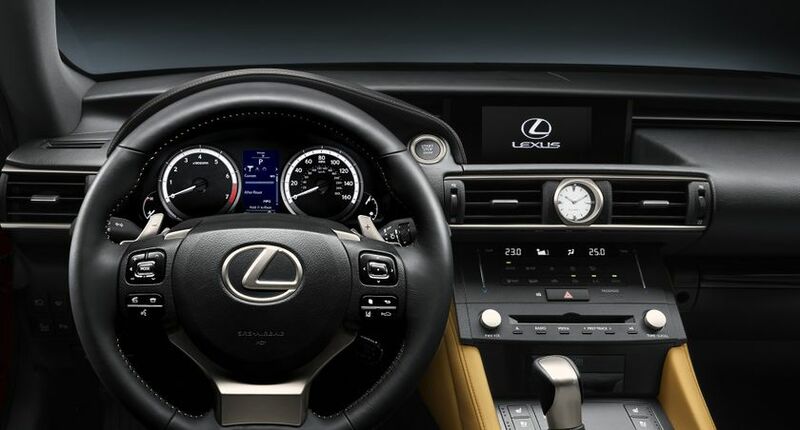 RC is the first Lexus to adopt the upgraded Blind Spot Monitor system which detects vehicles that are approaching from behind at a higher speed and from a greater distance than is covered by the current system. 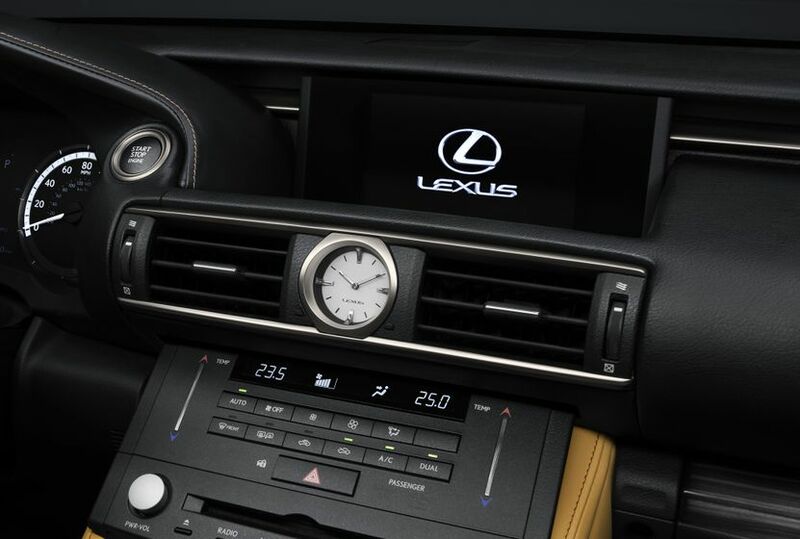 The innovative touch-sensitive Lexus Remote Touch Interface for audio and navigation systems is particularly important in a coupe in which tactile reaction is a desirable part of the driving experience.